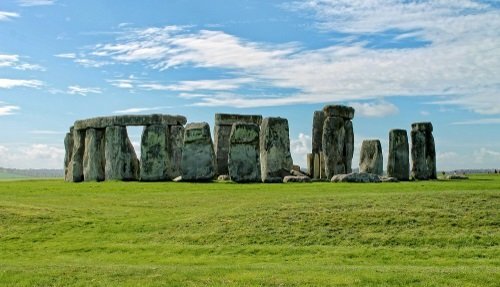 Visit Stonehenge on a ‘do it yourself’ tour to this UNESCO World Heritage Site, a unique prehistoric temple aligned with the movements of the sun. 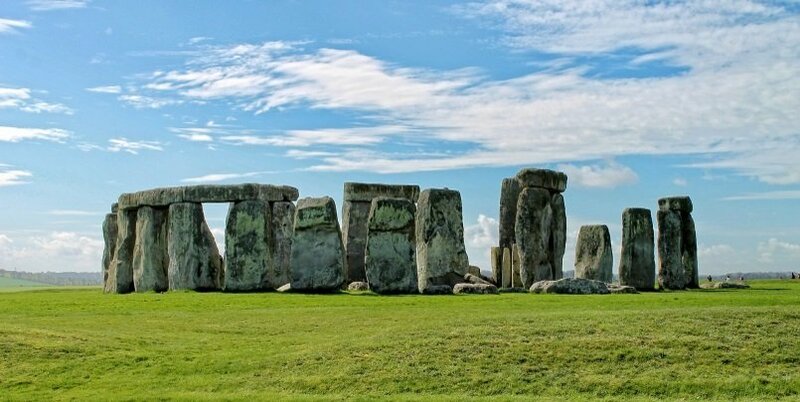 Built in stages between 3,000 and 2,200BC, it’s the only stone circle in the world to have lintels, the horizontal stones sitting on top of the uprights. Its architecture reveals the sophisticated minds and impressive engineering ability of the late Neolithic people of Britain who built it. 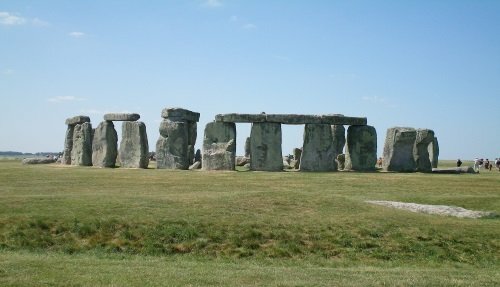 Many people to choose to take a tour of Stonehenge from Central London, often combining a visit to other nearby sites. 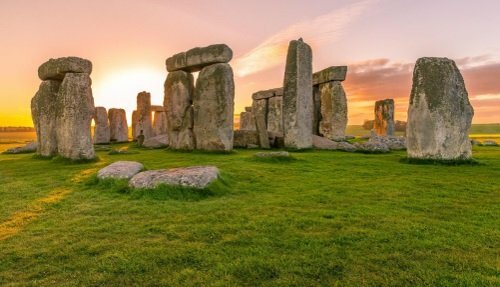 Expect to see the stone circles, view the rich surrounding landscape, learn more about the Neolithic period and tour the Visitors Centre on a do it yourself Stonehenge tour. Stonehenge was the center of a ritual landscape that included prehistoric monuments and burial mounds, dating from before, during and after Stonehenge was built. The Visitors Centre displays many of the important archaeological finds and artifacts discovered during excavations over the years. The exhibition displays many of the ancient tools used to build the site, and impressive bronze and gold jewelry. In total there are over 240artifactss on display at the centre. The center also includes a 360-degree audio visual experience that gives you an idea of what it is like to stand in the middle of the stone circle the summer and winter solstice. Stonehenge is part of the enormous 6,500 acres Stonehenge and Avebury World Heritage Site. There are a number of walking routes that take you across the Salisbury Plain which is littered with ancient burial grounds and Neolithic artifacts. Whilst a self-guided visit will take you close to the stones, you won’t be entering the stones themselves. That’s due to the archaeology below the grass, which is very fragile and too much foot traffic can cause erosion and damage to the site. There are Inner Circle Tours of Stonehenge available at selected times throughout the year, which allow you to enter the stone circles. Be sure to book well in advance at tickets sell out fast! There are several ways to get to Stonehenge. Tourist England runs a direct bus with morning and afternoon departures from Central London. This is most convenient and hassle-free way of getting to the site. The site can also be reached by public transportation via train and then bus. A typical visit to Stonehenge lasts around 2 hours. This leaves plenty of time to explore other nearby places. Tourist England offers a range of tours to Stonehenge from Central London, that also combines a visit to other nearby sites. It’s important to consider the best time to visit Stonehenge. Early morning and late afternoon are perfect if you want to do it yourself and avoid the large crowds of tourists. 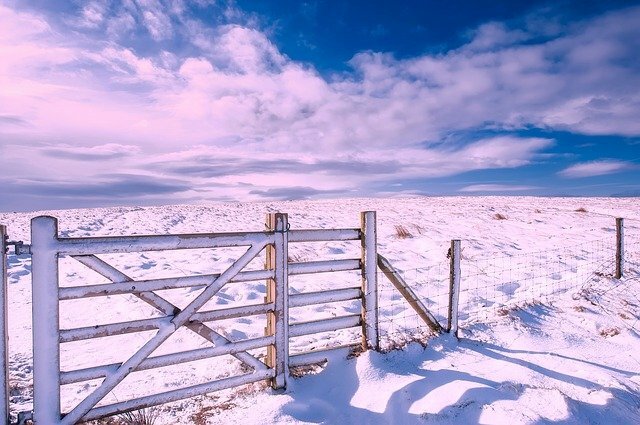 Expect the summer months to get very busy and the winter months to be very wet and cold. In our opinion, the ideal time to visit is during the spring and autumn. Stonehenge has an onsite cafe where you can buy sandwiches and salads. During peak times, expect long queues to get to the counter. There are also several outdoor picknick benches where you can eat, admiring the stone circle from afar. Start the visit by seeing the ditch and bank built during the first stage of construction at Stonehenge – over 5,000 years ago. This circular ditch is what actually makes Stonehenge a henge, and it is this henge that surrounds the circles. Here you’ll discover the equipment used to build Stonehenge as well as impressive gold, bronze and stone archaeological finds from the area that are on display at the Visitor Centre. See the Heel Stone which is an important Sarsen Stone. This was part of an avenue that once led to the entrance of the stone circle and stretched an impressive 3 kilometers from the River Avon! Since nobody really knows why Stonehenge was built, expect to learn about some of the many scholars who have come up with differing theories to attempt to answer this question. Pickup an audio guide to learn more about the site. One such clue can be found in the grooved pottery discovered at the Stonehenge site, that gives us important information into the type of people that built Stonehenge and lived here. Discover the Barrows, large grass-covered mounds that were built after the Stone Circles at Stonehenge were built. These mounds cover the area and each barrow covered the graves of what we assume were important people. The earliest barrows contained burials. Later some covered cremations. Sometimes, the person was buried with spectacular grave goods, including stone, bone and bronze tools, pottery, ceremonial battle axes and ornaments made from exotic materials including jet, amber and gold. Stonehenge is not the only prehistoric stone circle in Britain. In fact there are over 50 henges known henges in Britain. The UK is home to many other similar sights which you can visit by yourself, and some of which are located not far from Stonehenge. For more information on how to visit these monuments by yourself, check out our page on Alternatives to Stonehenge where we discuss some of the other great Neolithic sites that are well worth a visit! 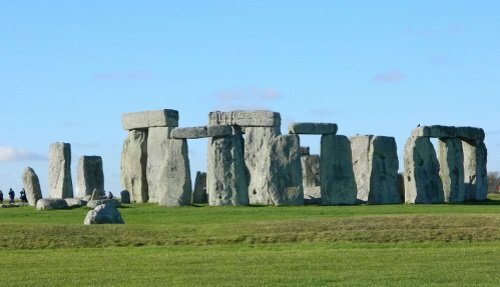 Tourist England offers Private Tours to Stonehenge. These fully customizable tours can be combined with other nearby places like Bath, Windsor Castle or Salisbury, for a full day out from London. Choose from a driver only self guided tour, driver/guide or driver and separate guide tour from London. For more information, fill out our dedicated form below.